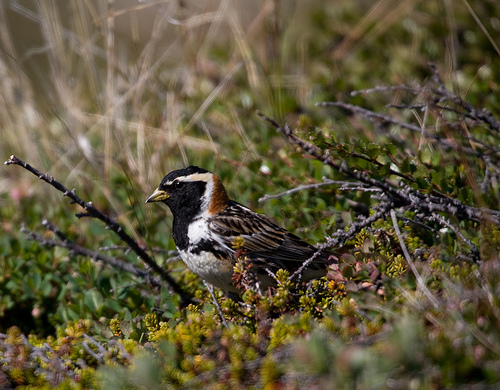 The Lapland Longspur is a small, rather inconspicuous bunting, which breeds in the far north of Europe. In spring, the male has a black head. 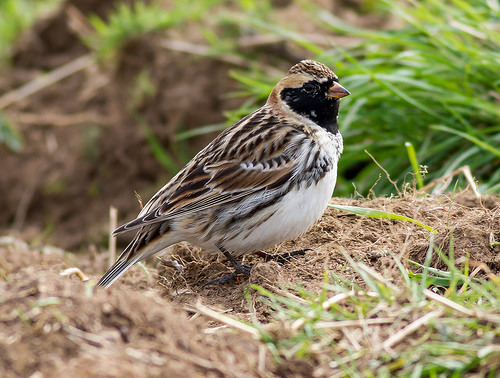 In autumn the Lapland Longspur passes through western Europe on its way south.